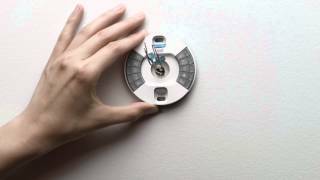 Home » Product Review » Does the Nest Thermostat Really Work? My friend was always telling me how much he loves his Nest wifi thermostat. My friend’s son-in-law and himself would regularly have a contest to see whose electric bill was lower. It became pretty heated over the years. My friend said that ever since he installed his Nest Thermostat, his son-in-law couldn’t come close to a cheaper bill. Their friendly (or not so friendly) rival made me want to look into this further. I don’t know if you noticed, but there is quite a bit of hype concerning this smart device. You can potentially save a lot of money each year by installing a Nest – $150 a year to be precise. I decided to stop the research and purchase one to see if the Nest is worthy of its hype. 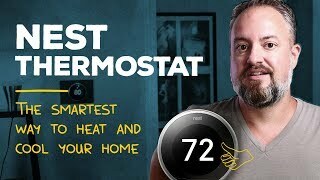 Does the Nest Thermostat Really Work? That’s my mission. The Installation was smooth. I had to do a little drywall repair, but this wasn’t because of the Nest, it was because of the previous owners – we won’t get into that. The Nest comes with a large plastic cover to hide any potential blemishes from your previous thermostat. I connected the wires according to the included manual, screwed it into the wall, and we were off to the races. Once installed, I followed the on-screen setup. The setup walked me through connecting to wifi, and in no time at all, it was done. I have to say; it was seamless. I didn’t have any problems installing it- not one. The directions were straight-forward, and I had it connected to the internet in less than 10 minutes. I have an iPhone, so I immediately downloaded their iPhone app. Once installed, I connected the Nest to my phone. I created an account and linked my account to my Nest. It was straightforward, and in 5-10 minutes, I had temperature control all from my phone. This is a game changer for me. The ability to change the temperature on the fly is great. I’m not going to bore you with all the tech specifics. These are three simple features that I absolutely love about this device. One of my favorite features is the app. I can change the temperature where ever I am and whenever I want. A couple of nights ago I was laying in bed on a Saturday morning and I felt a little cold. So I grabbed my laptop and logged into my account. Within minutes, I turned the heat up. That’s fantastic control, folks. I love that you don’t have to create a schedule. It memorizes every time you make a change to the temperature. What does that mean? It means that as you make temperature changes each day, moving the heat or cool up and down, the Nest will memorize those patterns and keep the changes each day – brilliant! I love that when the Nest sensor doesn’t pick-up movement for a while, it will automatically put it in away mode. The away mode will lower the temperature and save you money. So, it’s working in the background without you always trying to watch over it. The away mode is an excellent feature for busy people like my wife and me. Okay, folks, this is my final score. 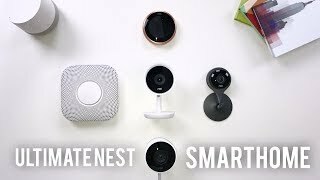 The Nest has a lot of hype, but it is worthy. 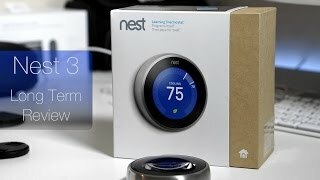 Over the last months, I loved using the Nest, and in my opinion, it’s worth every dollar I spent. I believe that I will make back the money I spent in less than three years. I would say that if you can afford a Nest, you need to buy it now! It’s worth the investment.